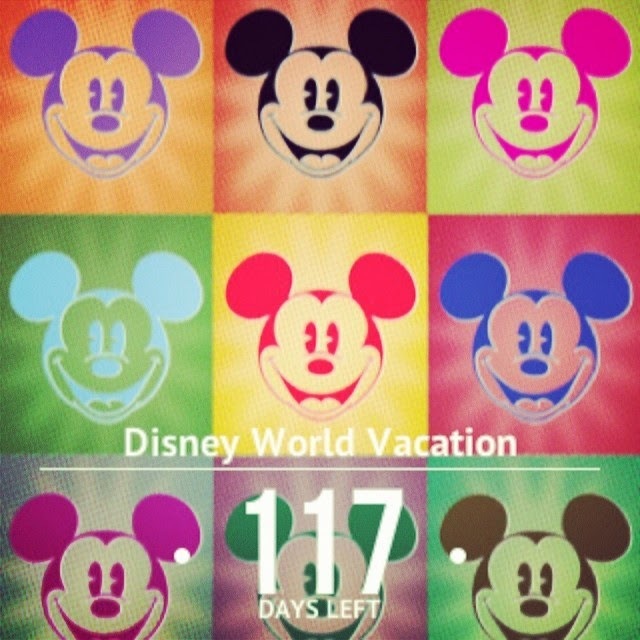 The countdown is on my friends...117 days until my personal Disney trip. To say I am excited is a bit of an understatement. It's time to start getting crafty. I wanted to make a sign for Sally's stroller. If you have ever been to Disney, you have probably seen the sea of strollers outside each ride and restaurant. 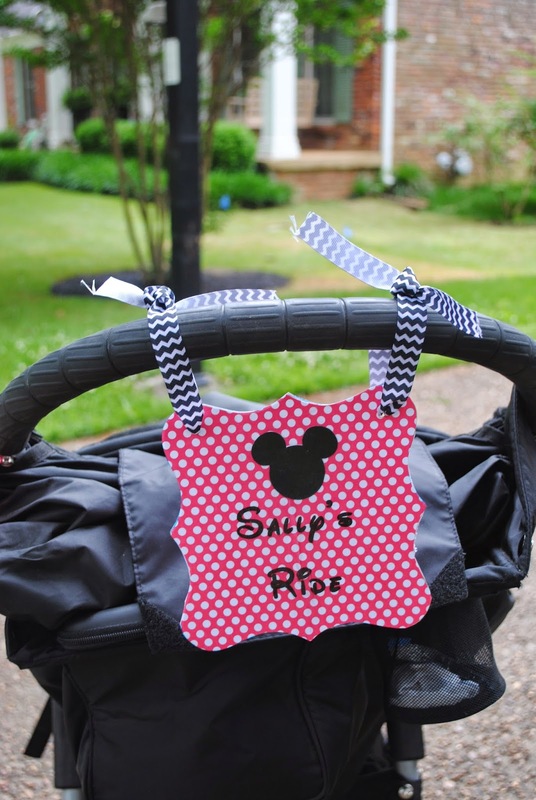 It's quite possible that there will be someone else with the exact stroller that you have so its a good idea to do something to make your stroller stand out. Since you want this sign to last for several days, you need something thick. You could use a wooden shape, but I chose to use a page from a chipboard album. The whole album was $1 at Michaels. I only needed one page so I can save the others for another project. I created a word document with "Waltograph" font and printed it out onto scrapbook paper. I used the chipboard page and traced it onto the scrapbook paper...cut it out and modge podge it onto the chipboard shape. If you have a machine that does vinyl letters, you could easily use that too. I then found free Mickey head shapes and resized them I cut one out and also modge podged it on. I punched two hole in it and used ribbon to tie it onto the stroller. I love the way it turned out!